It’s 12:30am and I’m struggling to sleep from jet lag I still have after 1 week of being back in Japan. My emotion has been so busy wandering between anxiety and sadness to think about the upcoming transition. "Change" sounds tempting but when an actual change reaches I get so scared. And I am in exactly that situation. That's no wonder because I left last 10years of my life in London and I am naked here... I feel I am an alien with the ability of verbal communication. Anyways, there are few things that heals my soul and calms my mind. I would like to share those with you today. Firstly and most importantly by all mean, yoga is giving me a strength through this time of change. The benefits yoga provides me is way too broad and a bit personal so I will not mention them here but if you are already yogis, I am sure you know what I mean. Secondary, (not 100% sure of origin but...) an old tibetan buddhism story about overcoming fear. I will try to tell you the detail of this story in the near future. This story is always in my mind, giving me a courage to face the fear inside. The last one is the sound, music with Sanskrit or Kirtan. The sound of their vibration almost massage the body, the mind and the soul from inside and everything melts in one big ocean of life force. Here is one of my favourite music. I hope you will like it too. I will take a break from teaching yoga for next couple of months but this blog will be kept posted. 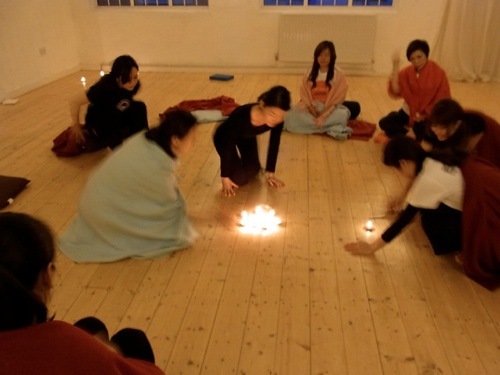 This is a good and right opportunity for me to deepen my practice so I will make most of it. Let me share my experience and thoughts in here. I hope you will come back here time to time. This is a begging of a new day. you have been given this day to use as you will. You can waste it, or use it for good. 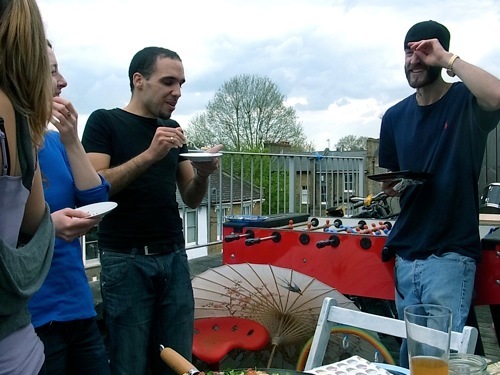 What you do today is important, because you are exchanging a day of your life for it. 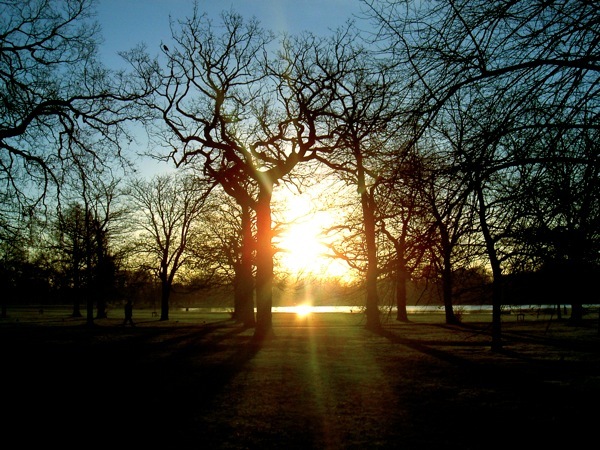 When tomorrow comes, this day will be gone forever; in its place is something that you have left behind. Let it be something good. It was the final class at SPACe last week. 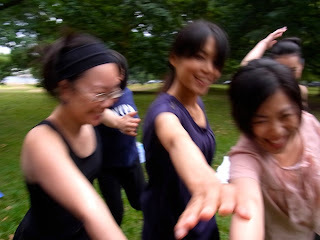 The focus everyone grew within created a great class even we had noise pollution from next studio! Big thanks to those who attended class and Canu yoga for the great opportunity during last couple of months. I hope you all will keep your own yoga journey and enjoy every step of it! Om Shanti, Namaste! Last timetable is updated. Check it out and contact me for your space in small group of 5people at maximum. Nothing really is special this month except for 23rd/Oct. 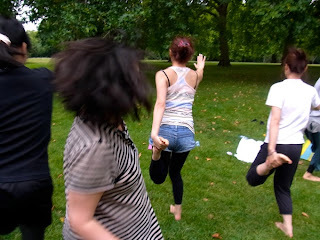 Vinyasa Flow class at Pineapple studio in Covent garden at 12.00-13.00. 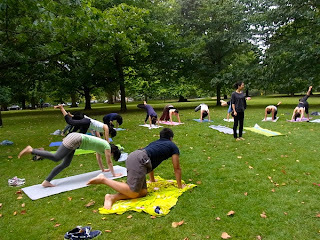 This is cover class for Canu yoga. It would be nice experience for you if you haven't tried any yoga studio or learnt in English. 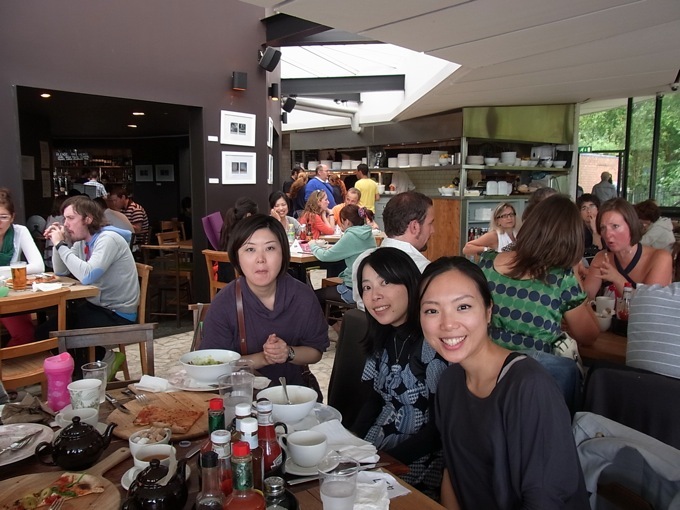 Also you'd have many choices for lunch after class thanks to the studio location! 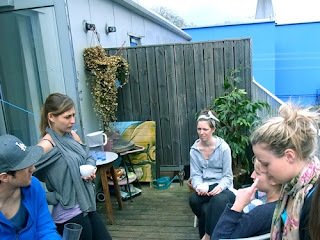 All questions, relate to yoga class and practice are welcome at numero6info@gmail.com. Hope to see you on the mats soon. Buddha said "We tend to run away from pain and look for pleasure. But be still, be here because both of them are the forms of suffering." 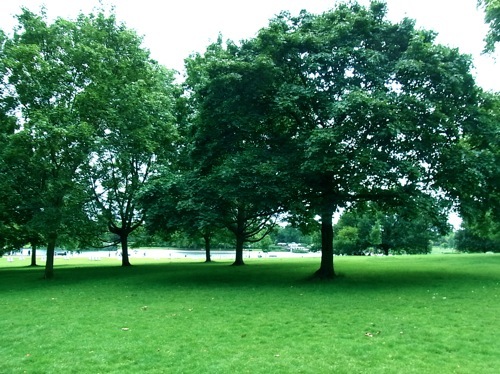 When we find discomforts in Asana, we try to run away and go back to the place we have been before because we already tried there and know it is a secure place for you. Why don't we just accept what it is, give awareness to the discomfort rather than ignoring it, welcome whatever comes as what it is. 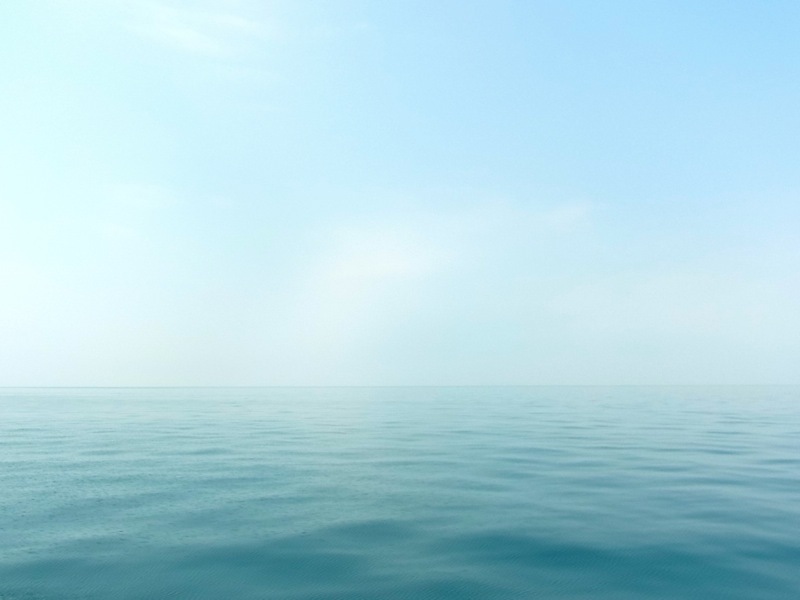 Be still, be here. Everything will pass eventually because nothing stay eternal. Here are the pictures from Park Yoga in 20th of August. Class schedule for September is now updated on timetable and fee page. 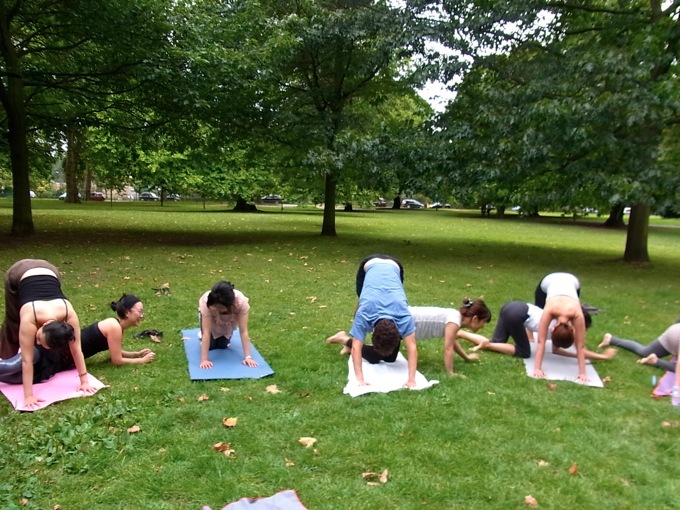 Park yoga in Hyde Park last weekend went great and we decided to have another park yoga session (on demand!) Time and place should be the same but I will keep it posted here for updates. The picture from the event will follow soon. I will have some short holidays September and October. Sorry for the inconvenience. Check out the time and class then contact me at numero6info@gmail.com for booking your spot. I'm looking forward to sharing yoga experience with you soon. 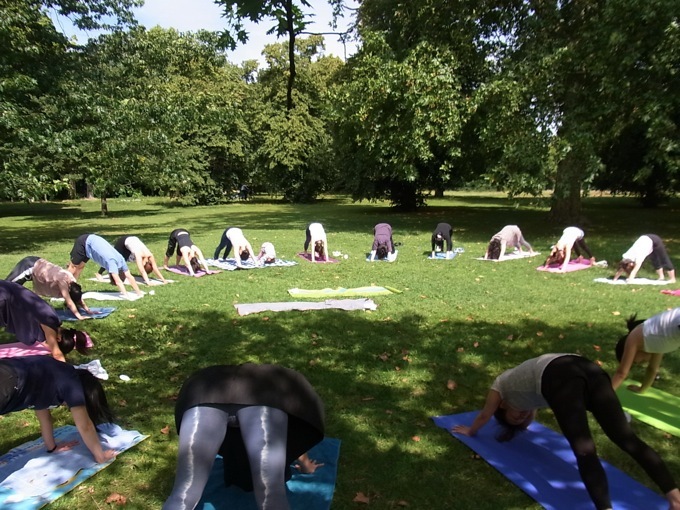 Yoga in Hyde Park this weekend!! Let's soak the body and the mind in fresh air! 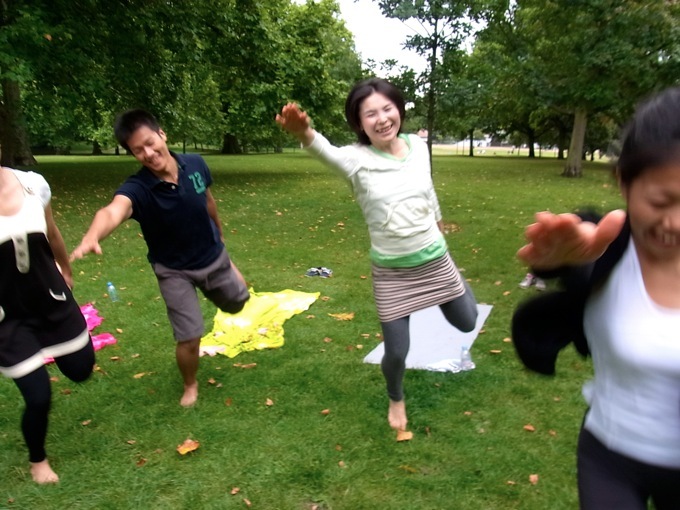 Nao & I am holding fun yoga session in the park followed by pub/cafe lunch (optional). I hope everyone was safe and away from riot that happened last weekend through early this week. Some of you might have felt scared, angry or upset not only because of the looters' behaviour but also the reactions towards them came up inside of you. I would like to share a thought from my friend Tammy about the situation. 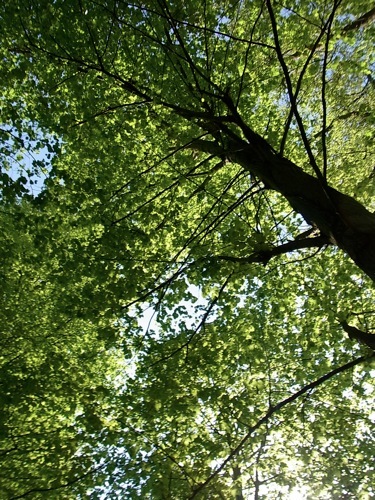 Her point of view may help smoothing your mind. Now is not the time for the "them" vs "us" attitude. 'Those Looters', 'those Police' .Thisis all us, this is England. Look what we have allowed ourselves to become. Accept it as our doing, to transcend this mindless state of being. Already too many lost souls. Dont fuel this fire with further seperation, anger and fear. Do your bit for society by spreading love, compassion and understanding to all that you encounter. Its proven time and again to be the only solution. 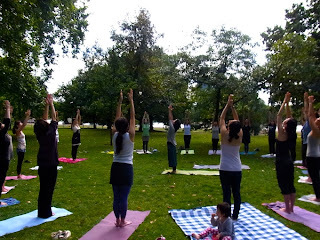 If you want to know little deeper about yoga, I recommend you to read this article about "Namaste". 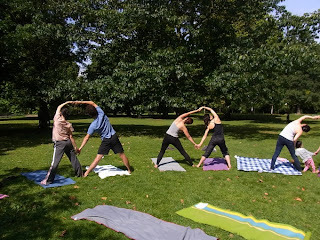 Yes, the word we say at the end of yoga practice. 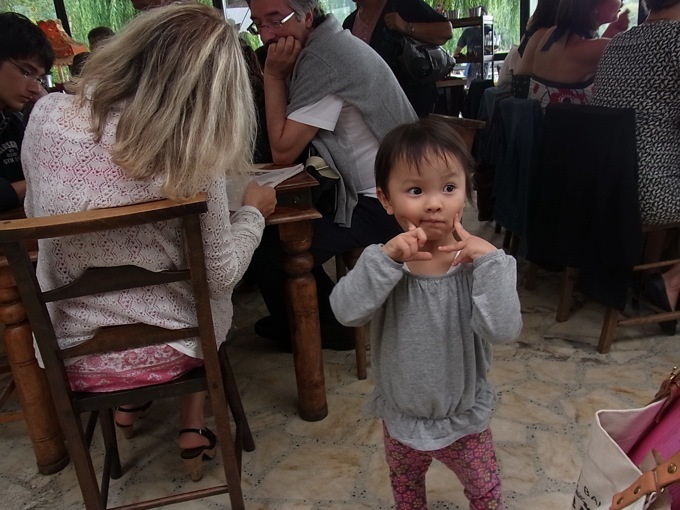 You will find the link between Tammy's saying and idea of Namaste. 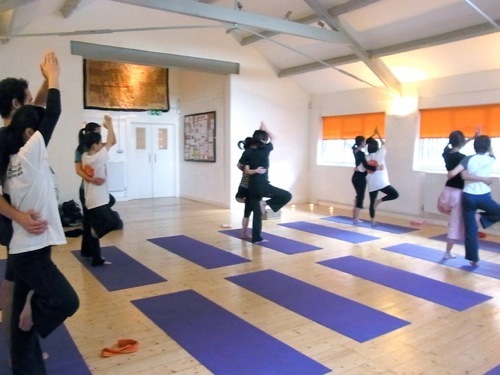 Some of the people who attend número 6 class have started enjoying Ashtanga Vinyasa. In that practice, you always practice same asanas in the same order. Each poses build flexibility and strength towards end, so it's the most beneficial to follow the order. Traditionally you are given a new asana when you complete previous one. So some people need months to finish Primary, while many of others takes years. 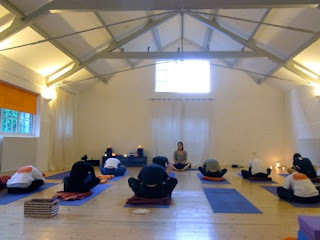 Because of its strictness (or it was just me taking it so) and traditional smell, I used think Ashtanga is something I would be allowed to do only when I am sooooooooo serious. Or even I thought Ashtanga Yogis are snobby people considering other yogis as fashion yogis (like they do it because it's cool) and so on... My imagination was going very wild! Obviously I was wrong, Ashtanga is nothing to scared of. 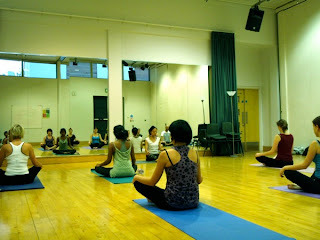 Especially my teacher Manju P. Jois was most chilled out yoga teacher I can ever think of. He even said we can skip asana if that gives you discomfort too much. How cool is that!? I mean, if you can do all of them, that is way better. But each of us have different condition of mind and body, so knowing it is ok to forgive ourselves to have a break from the rule sometime helps our soul and spirit being honest to ourselves. Ok, so, here is the sequence of Primary series (click image to enlarge.) Don't worry too much now to remember them because you will learn the order by repeating practice. Ausgut class schedule is now updated on timetable and fee page. 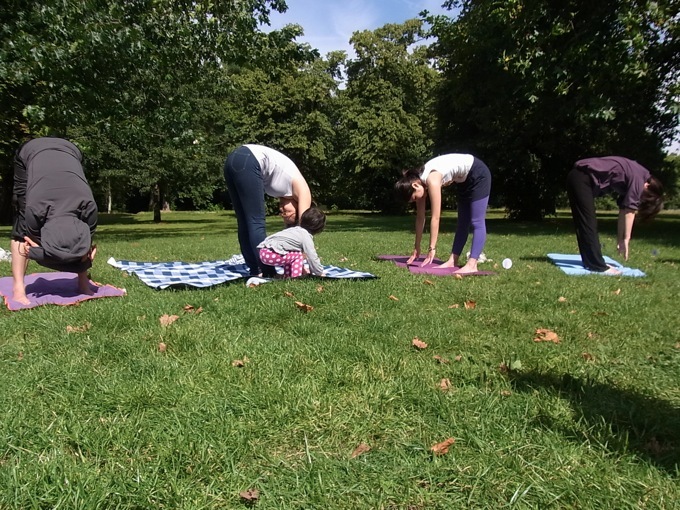 Nothing special on this month is planned for now but Park yoga in Hyde Park and cover classes for Canu Yoga in Shoreditch may be cut into the schedule sometime late this month. I will keep it posted here. 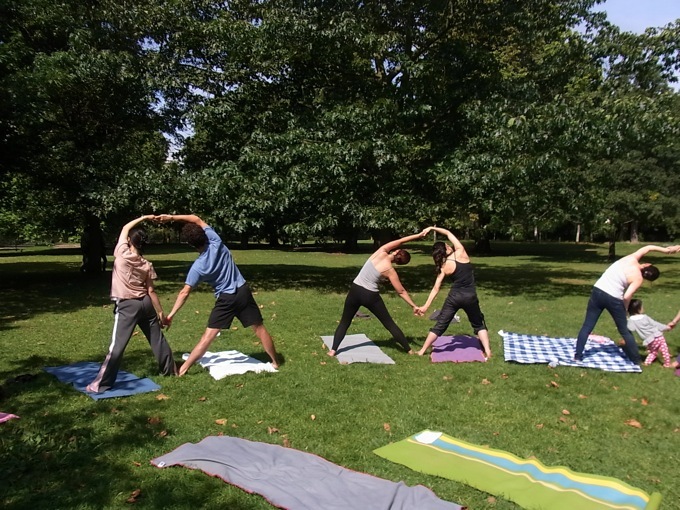 How are you taking care of your yoga mat? As you sweat in practice while your feet and hands constantly on the mat and so as your forehead, you defiantly want to make sure it is clean before you use. What I do for the mat in número 6 studio is pretty easy and standard way you can do quickly. 1) If the mat is lightly soiled, wipe the surface with tea tree oil water or yoga mat cleaner like stirlen yoga mat spray. You can find various recipes of natural cleansing spray from internet. 2 ) If the mat is heavily used, put the mat in your washing machine with mild detergent, wash it in cold water with gentle spin in the end. Dry it naturally, never use dryer! I tend to do 1) in daily basis, and 2) when it is necessary. to bring stickiness back to your mat, washing is good idea for it too. Most sticky mats are machine washable but check before you actually through it into water. It is usually mentioned on the package of the mats when you purchase them. Of course the mats available to purchase from número 6 is also machine washable. Try it if you haven't done that before, practice on the clean mat is simply great. our studio gets really hot in the sun. come and take advantage of the heat. 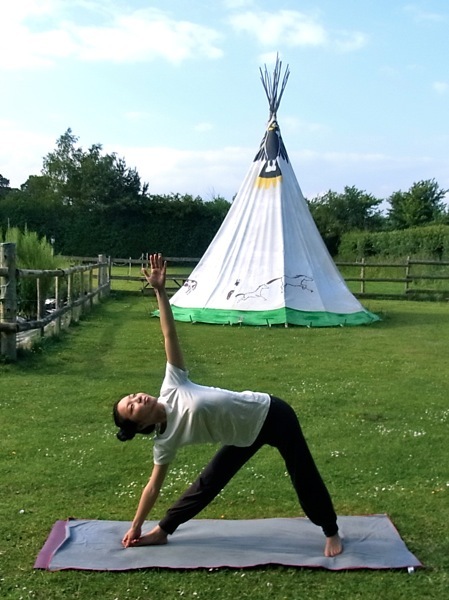 yoga practice in the heat encourages detoxification and purification of the body. also it is a great chance to build flexibility as your body gets relaxed. Park yoga day is finally tomorrow. 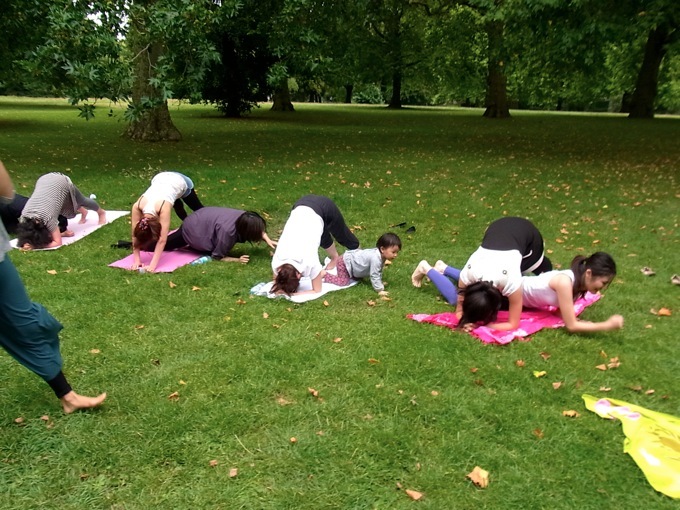 please come and join our fun yoga session in the hyde park. check the details here or simply request me on email at numero6info@gmail.com. hope to see you everyone there! it's been weeks since last time i attended a yoga class, i wasn't in the mood (mostly because i practice in the morning and teach during the day, so i'm pretty tired by the evening) but i went this evening. 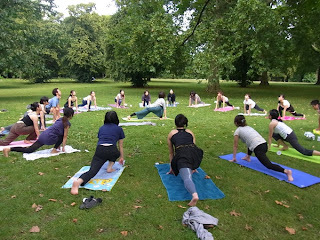 the best thing about attending class is even though you are not mentally or physically ready, the atmosphere created by other yogis helps you to lift the energy level. some people go to yoga classes just for that benefit of atmosphere to put themselves in the mood of practice. making a habit of yoga practice takes time. Anyway, in that class, the teacher said "if you have a flexible spine, you can stay young forever" This reminds me of this 92 years old yoga teacher. yoga keeps you young, healthy and beautiful. Park yoga which was planned 9th is now postponded to 16th. 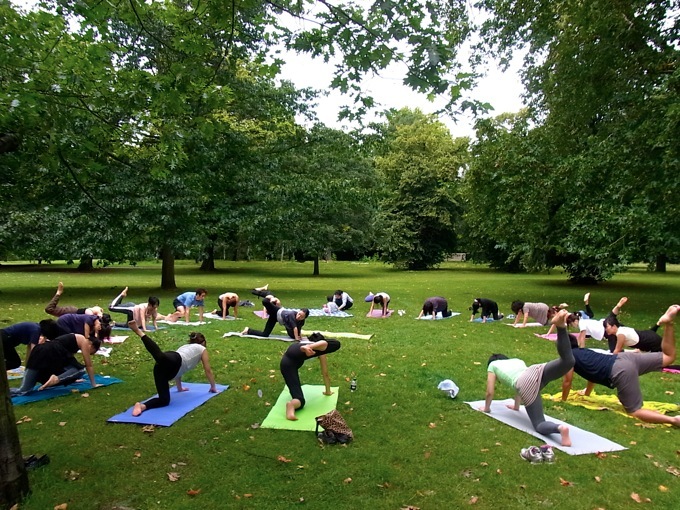 please come and join our fun yoga session in the hyde park. details are available here or simply request me on email at numero6info@gmail.com. hope to see you everyone there! what a week with Manju. he changed my perspective towards yoga practice a looooooot. his teaching was the most authentic and traditional way i've ever known but still down to earth and relaxed at the same time. probably what he teaches is the simple truth so everything never gets old-fashion or biased. i already taking new things into numero6 classes, which is the set of asana (physical poses), pranayama (breathing technic) and mantra (chanting). asana lift your energy up and then pranayama and mantra bring it back down so your energy after the practice is peaceful and calm. 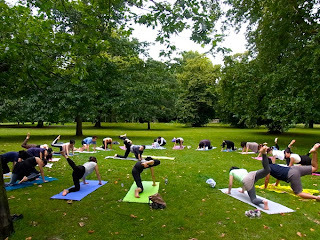 he said "yoga classes in the west usually teaches only asana and creates aggressive people in the class. yoga is not about body but energy flow, unity of body and mind. so we need to practice body, mind, sprit as a set." I promise to share more of his words and pictures soon again. 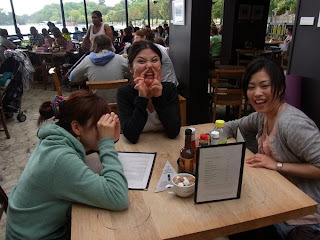 please keep checking this blog! 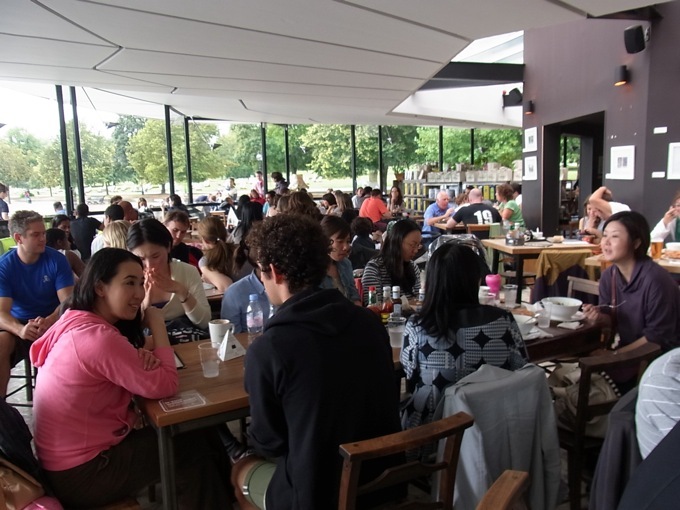 numero 6 is taking part of 2 events in 1st & 2nd weekend of July. Introduction of yoga philosophy, sun salutations, partner yoga etc. Nao & I am holding fun yoga session in the park followed by picnic lunch (optional). July Timetable is updated. 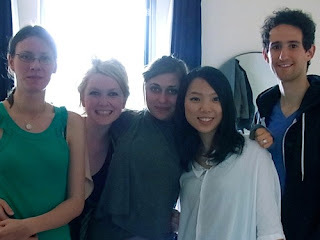 Since the class is closed while I am in Berlin, next month is the time to make up for it. Fortunately numero 6 has regulars who made comment that they will miss the classes while that week. I will be back with new fresh knowledge to share in numero 6 classes. Check out the time and class then contact me at numero6info@gmail.com for booking your spot. I'm looking forward to seeing you soon. **The emails I will receive between 24th of June and 1st of July may take time to be replied. I will get back to you as soon as possible but it is depends on how often I can get the internet connection. So I kindly ask your patience in that period. And if you have already paid 5 classes in advance, your expairy date is extended 10 days due to a week closure in the end of June. 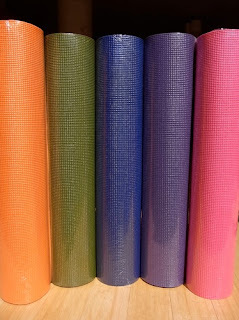 Yoga mats available at nùmero 6! 8mm thick sticky yoga mats are now available from nùmero 6. When I was asked by couple of people where to buy mats, I knew couple of places but the balance of decent quality with nice price was tricky. Usually good mats cost. So I researched and found great quality mats as your first one in affordable price. Made of durable foam with a high-tack surface for stickiness, this Sticky Yoga Mat is thicker than most mats so you have extra cushion for your routine. This mat features a textured, non-slip surface, and is extremely durable and completely latex free! Mats measure 72" x 24" (183cm x 61cm) and are completely Phthalate free. There are 5 colours (orange, green, blue, purple, pink) to chose from. The price is £15 each. Let me know if you'd like to purchase. 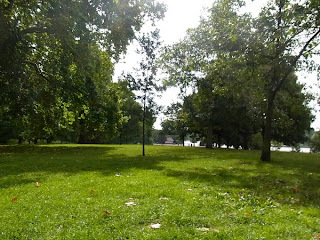 It was beautiful day in London and I did yoga in the park this morning. 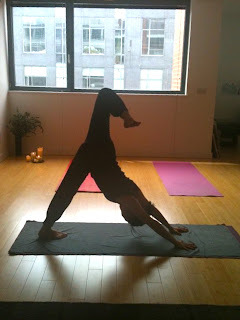 Since the date of Ashtanga training in Berlin is coming soon, my practice is all about Ashtanga vinyasa at the moment. To be honest, all my body parts are so sore, feel being completely beaten up... I've never wished to be this tired but somehow the tough practice make me feel most alive and present. 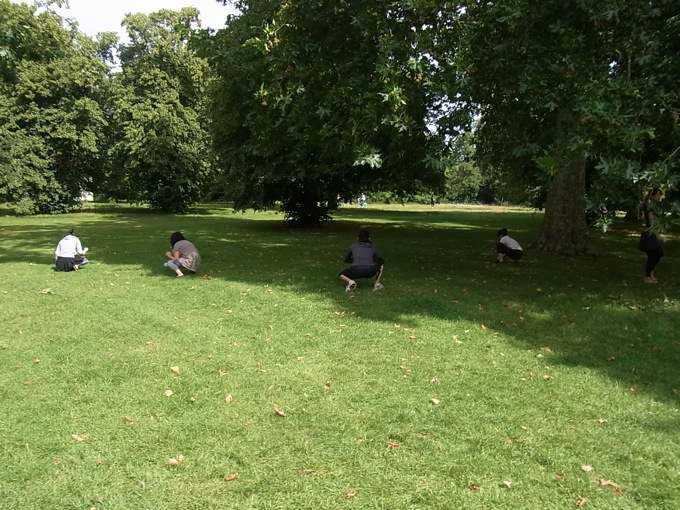 Even some asanas made me breath like Thomas (the train), strangely I was super focused in that super uncomfortable posture. That's a magic! (Does that happen only to me??) Anyway, we all know yoga practice has a treat in the end! Savasana! Especially on the fresh green grasses, under the blue sky, in the smell of summer... What can I ask for more??? It's just AMAZING! By the end of Savasana my muscle got totally melted, mind cleared and fresh breeze run through the spine. I hope you know what I mean! Oh yoga is brilliant. It fills me with love. I love yoga. I cannot wait for tomorrow to practice again!! I'm out of London until Tuesday. Practice in a national park is waiting for me! Wish me luck for the good whether. Mails you send to numero6info@gmail.com will be checked when I get back in town. I'm sorry for the inconvenience in this period. I hope your Sunday will be happy one! 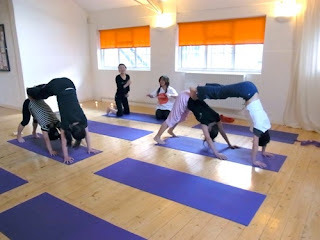 I taught a classes for Canu Yoga yesterday. 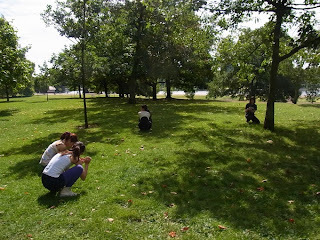 Theme of the asanas (yoga poses) was balance but also there was a hidden theme throughout the class, which was giving students some ideas of self-practice. Knowing what you feel, how your body react, and be honest to your sense are very important to your safe practice. Let yoga fit you, do not let yourself fit yoga. Yoga is there for you. In the history, yoga is learned and developed on self-practice basis because it is not only the physical poses but the way of living, philosophy, finding inner soul, stopping modification of mind stuff etc. 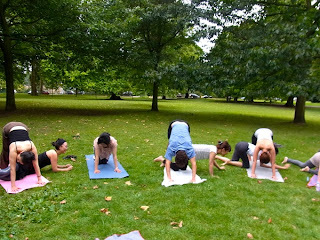 We can work on yoga in many situations everyday. I practice yoga 5 to 7 days a week. I still learn something every time. Discovery, development, achievement around my body, mind and sprit never end. What I learn from practice appears as a metaphor in daily life too. What we struggle on our body is just same as work, relationship or anything. It is not only in yoga but anything can improve by repeating. Writing, designing, debating, playing sports and everything need practice. Just bit of patience at first and when you see the improvement, it become your habit. Once you develop your interest in yoga, keep learning and you will get more benefit. Yoga is honest, it will love you back. June Timetable is updated. 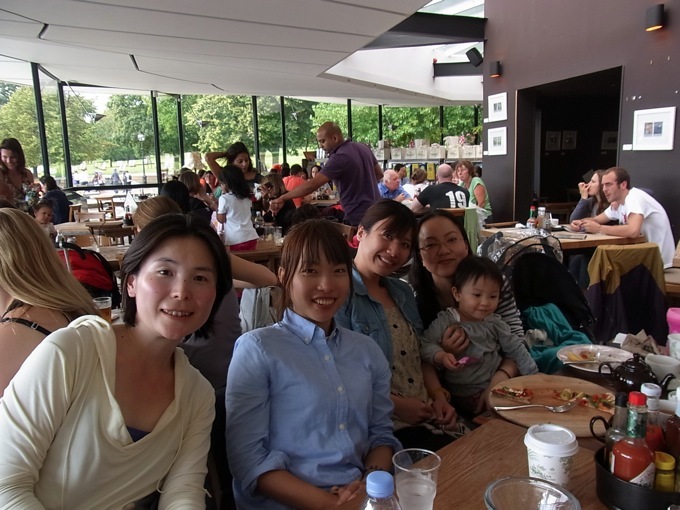 I am afraid that I have to close numero6 from 24th of June to 1st of July for brushing up my teaching skill and knowledge. 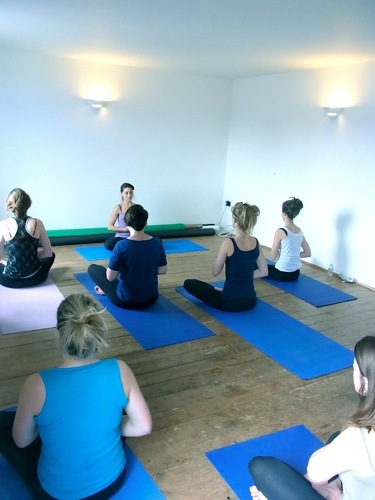 Ashtanga Vinyasa workshop and teacher training in Germany is a lucky opportunity for any yoga practitioners as Manju Jois is the teacher for the week. 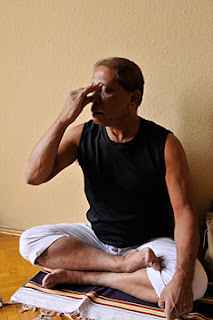 Manju is a son of Sri K. Pattabhi Jois, the founder of Ashtanga Vinyasa Yoga. I cannot wait to share the experience with you in numero6 classes. For those who already paid for 5 classes in advance, your expire date is extended 10 days due to this closing classes in June. If you have any question, email me or just ask me when I see you next time. next. This is going to be the first evening & drop-in style classes for numero 6. I'm thrilled!! 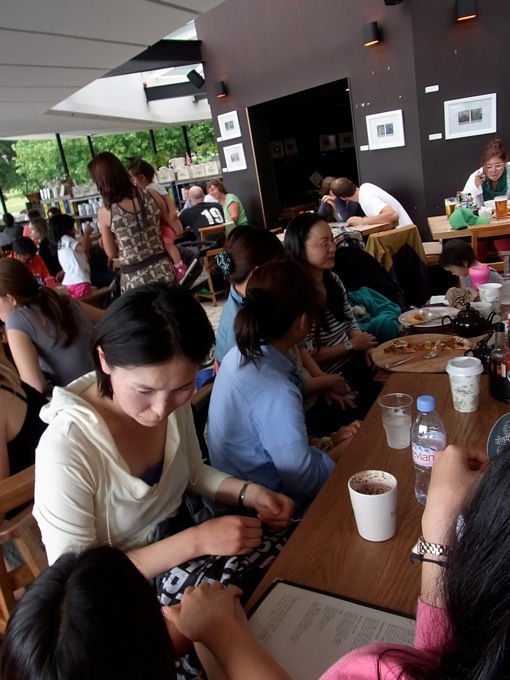 Please come and enjoy the different location for your practice! Time passes so quickly, it is May already. I hope you all had a great long weekends! Here I share the picture of another charity yoga event for Japan. 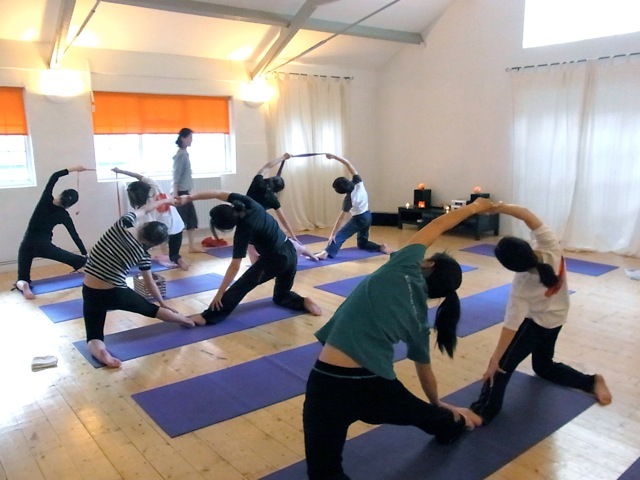 It was held with Nao from Yoga Kibun on 27th of April. 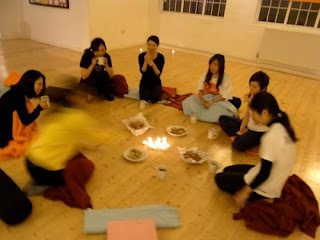 We were a small group but our energy filled the space with warm prayer for Japan. Thank you everyone who came. We raised £110+. This also goes to Fukushima prefecture to support people who still have no idea when they can go back to their own homes. 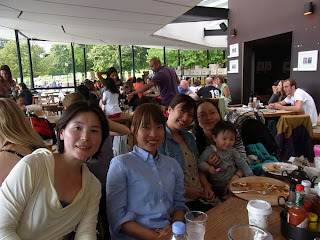 Nao and I are thinking to hold charity events regularly as we believe the support for Japan need to be sustainable. Next time hopefully in a sunny park followed by picnic lunch. I will keep you updated on this blog. From 29th/Apr to 3rd/May, I will be out of internet access. Emails you send to numero6info@gmail.com will be checked when the connection is back. I'm sorry for the inconvenience in this period. I hope your Royal Wedding weekend will be full of happiness. Timetable of May is updated. Modified Ashtanga class is newly added on Fridays. Check out the time and class then contact me at numero6info@gmail.com for booking your spot. I'm looking forward to seeing you soon. 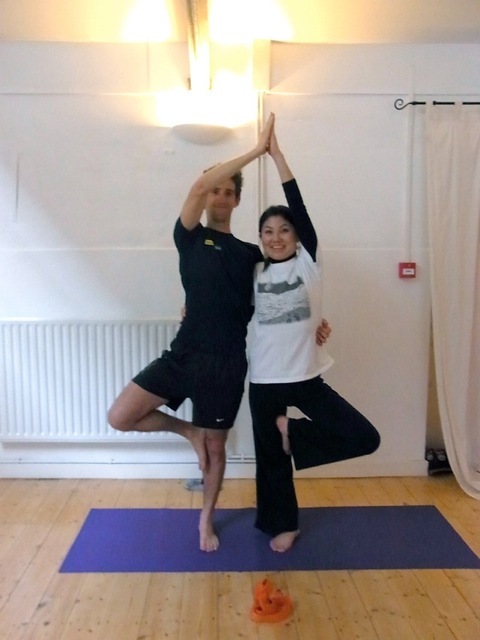 My yoga teacher, Nao, and I am holding another charity yoga in Clapham Common in 27/Apr. Please join us for yoga, meditation, tea and little bite. Donate what you can afford and simply enjoy the time with other yogis. 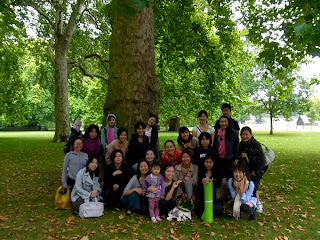 Please email us at charityyoga@hotmail.co.jp for your attendance. 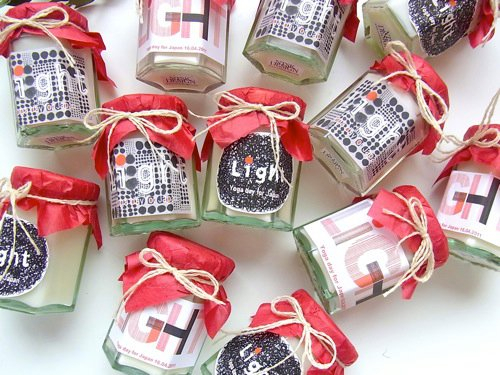 Handmade charity soy candles are on sale for £5 each. 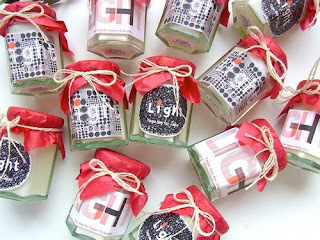 They have scent of camomile & orange which is very fresh spring smell. 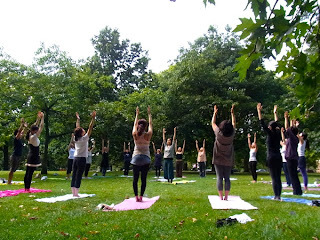 All proceeds are going to Fukushima prefecture as well as the donations from Yoga day for Japan. Let me know if you are interested in one or two. There are only 7 of them left now. 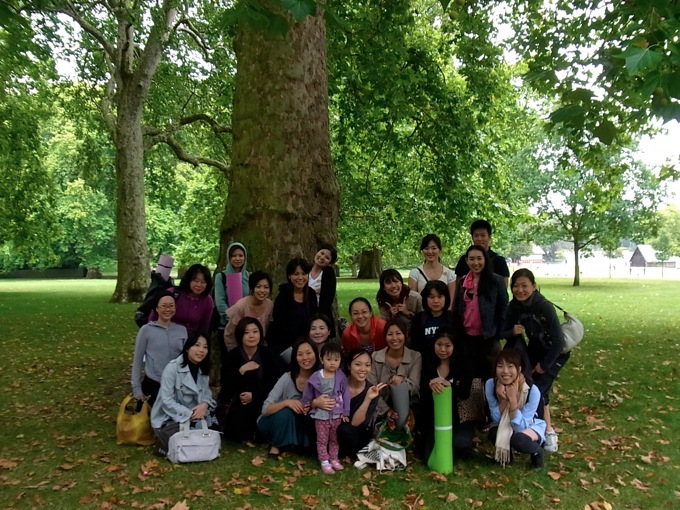 Big thanks to those who coming to Yoga day for Japan on last Sunday. 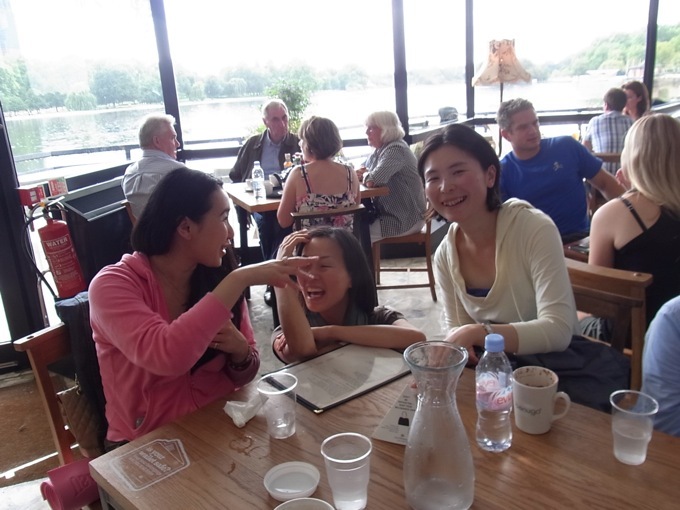 Specially, to Tammy and Lucy who made this possible. Such a great day with great hearted people. We raised £360.20 + €5. I am sending this donation directly to Fukushima prefecture where is still having a big trouble with nuclear power plant. I hope our thoughts and prayer reach the victim of the disaster in Tohoku.